Top 10 Architecture Schools in USA in 2019 | If You are a student in the USA and want to make your career in Architecture but don't know which universities are best and where you should go to make your successful career in Architecture then you are at right place because here I am going to tell you about Top 10 Architecture Schools in USA in 2019 and if somehow you take admission in one of these architecture school then you will make your successful career in Architecture and will live happily. If you are a Parent then you can have a look that which are the best universities for your Son/Daughter if they are seeking career in architecture. Hey guys, I am Lokesh from Tech With Logic and I am here today to help you about your career in Architecture. From now , i will also post articles about Education so that you will get right way to your target in your life. Today here we will talk about Top 10 Architecture Schools in USA in 2019. Best Architecture Schools in USA? If you want to make your career in architecture education then you should have to know about what are the best architecture schools in USA so that you can do hard work to get into them and make your successful career in the Architecture. So, here I am sharing list for both Undergraduate (U.G.) and Postgraduate or Graduate Program. There are differences between both program this is why you will that if a university is in the higher position in the undergraduate program then it is not necessary that it will have the same position in Graduate Program. USA is one of the biggest and Developed countries in the world this is why from all over the world students come there to study and you get higher competition. So, you have to work hard to take admission in below universities. This list is made by DesignIntelligence, which creates survey every year from last 19 years and Ranks all the universities according to what they have achieved and student 's talent and many more factors to improve the education in architecture. As the above mentioned for U.G. program, DesignIntelligence also ranks universities for their graduate or postgraduate program. 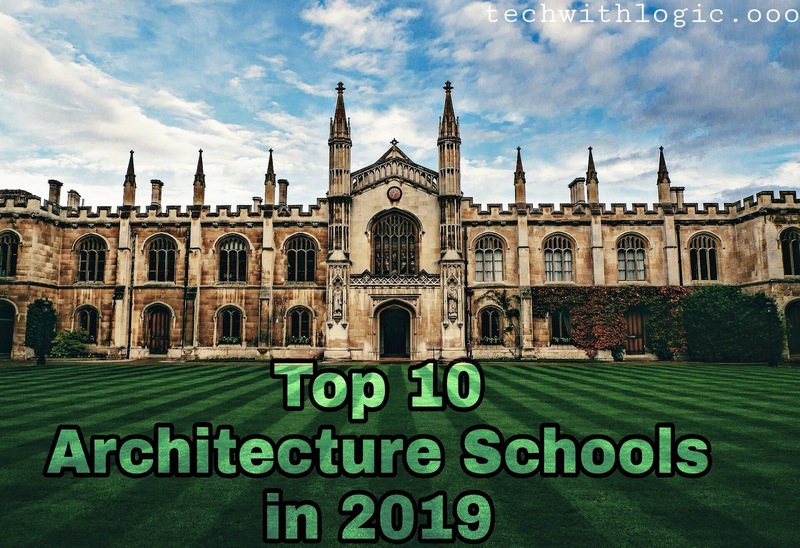 Guys, As I have shared above about top 10 Architecture Schools in USA, I thought why not I am sharing list for the world also because there are a lot of people who want to Study in the Best Architecture School in the world, for them here I am sharing the list for the top 10 best architecture schools in the world in 2019. So, Guys, this is the list of top 10 best architecture Schools in the world. In this article, I have shared about best Architecture Schools in the USA and In the World. I hope you've liked this article and don't forget to share it with everyone. Also, share Your thoughts in comments.